Our desire in Physical Education at CHCS is to teach students how to use the wonderful bodies the Lord has given them to bring Him praise. We achieve this through calisthenics, play, and athletics integrated with Biblical principles. Students in PK and K do exercises and work on skills such as jumping, balancing, hopping, catching, throwing, skipping, galloping, running, and kicking. 1st through 3rd grade have units on tumbling and balance beam. grades 3 through 6 have units on basketball and soccer. Grades 4 through 6 have units on softball and volleyball. A variety of games are used at each grade level to enhance individual skills and to develop teamwork. Students in 1st through 6th grade participate in the Presidential Physical Fitness Testing. These tests are done in the fall and spring. Fitness is promoted throughout the year. The after school program involves practicing and playing basketball, volleyball and soccer. Students in 4th through 6th grade who wish to participate are divided into teams with volunteer coaches. We have from 4-9 teams per sport. The season lasts 10-12 weeks and concludes each season with a tournament. 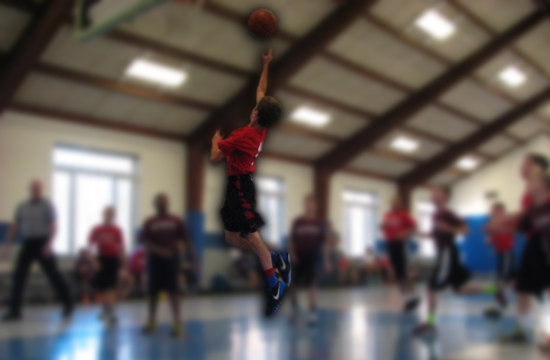 Our goal is to provide competition and sports skill training in a Christian atmosphere. Students in the fourth, fifth, and sixth grades have the opportunity to play in three intramural sports. Basketball is offered in the fall, volleyball during the winter months, and soccer in the spring. Students from the North Campus play against students from the South Campus with a tournament at the end of the season. Fifth and Sixth Grade students may participate in the Cross Country Team. Practice takes place at a local park and compete against students from other schools. Ski Club is open to all students during the winter months at Boston Mills. Those new to skiing are taught the basics and those with skiing experience are able to improve their skills.